I've had acne for around 15 years. When I was 10, I remember being the only kid with "zits." I was lucky enough to never have out-of-control acne, but it has always been a constant battle for me. I've tried EVERYTHING: Proactiv, Murad, Differin, Tazorac, Retin-A, anything and everything Clean and Clear, some pill that would have made my skin blue if I stayed on it any longer (?? ), yeah, everything. As a 24 year-old, I've finally accepted my skin as it is, I've given up on make-up [and I think that actually might be helping it heal a bit]. I can actually count the number of times on one hand that I've worn make-up in the past year. Is that weird? I've decided that what matters to me, now, is having clean-feeling skin. Now here's my next problem. I have also tried everything for that! I have pretty dry skin, but it also gets oily throughout the day. I like cleansers with scrubbing beads because they actually feel like they work, but they leave my skin so dry. On the other hand, cleansers like this one I raved about back in April [we all make mistakes, right? ], just leave my face still feeling oily. Over the last ten months, here is everything I've tried. I'm currently using the CVS Deep Action cleanser in the middle. The ones on the left I've used leave my skin crazy dry, and the ones on the right just don't feel like they do too much. I've only been using Deep Action for a week or so now, so I can't be totally sure how I feel about it, but I do like the minty-fresh feeling it gives when it sits on my face for 30 seconds or so. Only reason I've kept all of these is because I feel bad throwing things away that are half-full. 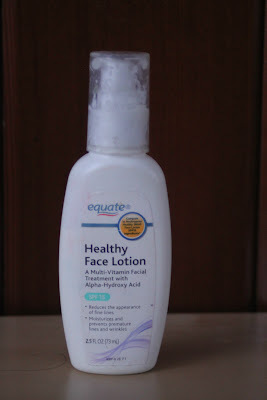 Because my skin has been so across-the-map lately, I found this wonderful lotion that I've been using for a few months. It seems to balance out my skin well, whether it's feeling dry or oily. As you can see, I really like store brand products, mostly because not much has worked for me, so I don't like spending money on products about which I'm skeptical. This was a pretty personal post for me. It feels good to get something off my chest that I've been struggling with for almost 15 years. This is really why I love blogging - I can write out my feelings instead of keeping them bottled up, but I can also ask for help! Do you have any face cleansers or remedies that just leave your face feeling great? If so, please share! I have really bad eczema so I have never really found anything that helps my skin. I will have to try this lotion. I've had acne for like 17 years, so I understand. For some reason I started getting cystic acne about two years ago and started going to a dermatologist again, but it's still not completely gone. I've started using Neutrogena naturals cleanser, I like it because it's gentle, but it really gets off all of my makeup and dirt, then I use Burt's Bee's sensitive skin night lotion. In the morning I use a Clean and Clear or Neutrogena benzoyl peroxide wash, which I also use as a mask a few times a week. The best product I've found for drying up pimples is Mario Badescu's drying lotion...I didn't mean for this comment to be so long, sorry! I hope you find whatever works best for you! I use Mary Kay TimeWise cleanser and moisturizer. I have really oily skin, and they have a formula for oily skin. The moisturizer is really lightweight, which I love. It's really important to not switch up your cleansers--use them for at least 3 mos at a time--they don't work properly with your skin unless you stick with them for a while. Also, I make sure that I change my pillowcases every week. I actually learned that my skin problems stem from a milk allergy! I never even considered the food trigger before, but once I started an elimination diet (to try to figure out why I was having stomach issues), and I was on the 2 week milk fast, not only did my stomach not hurt, but my skin cleared up! Now, I can avoid the triggers. My skin has gotten better with age, but I always use Noxema at night (to get makeup/grime off) and I use Pro-Activ a few times a week. I saw a tip on t.v. this week: Wash your face at night before bed. DON'T wash it in the morning. This is what I've actually been doing for the last few months and I've noticed a difference. I use the same moisturizer. 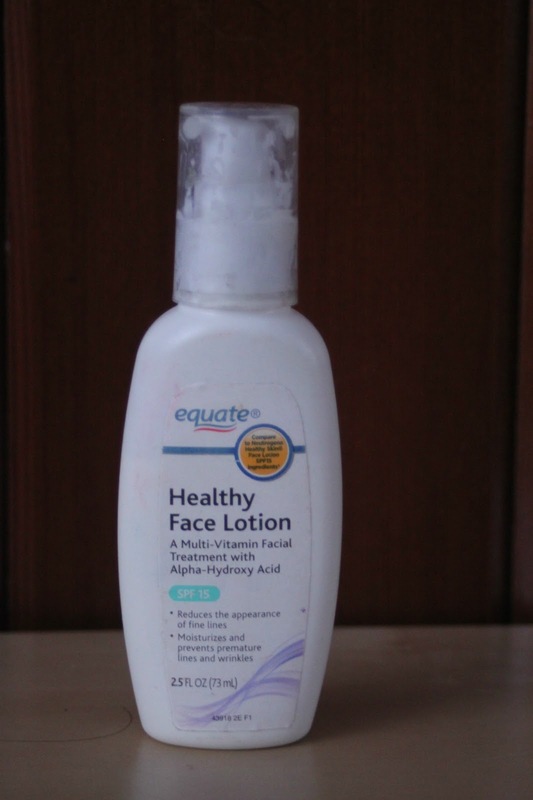 The Equate brand works just fine for me!